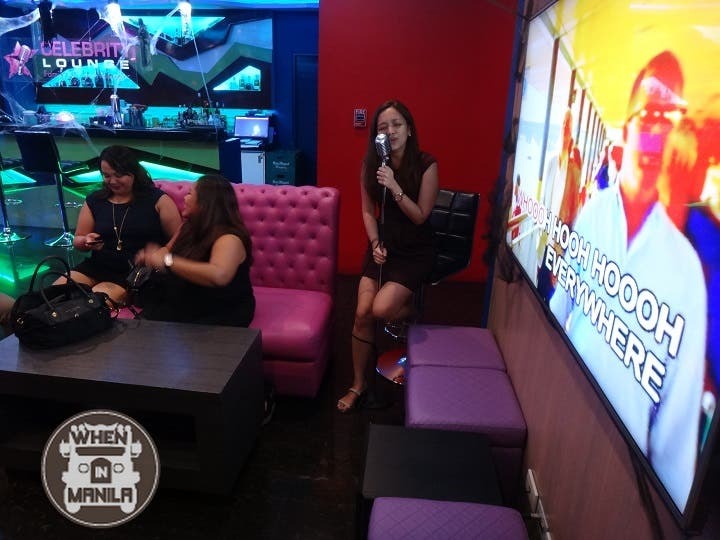 It’s a fact: we Filipinos are crazy in love with karaoke! Our love for karaoke has even taken our daily commute to the next level that we now have a taxi that provides karaoke. But in order to satisfy our recurring need to belt out those chart-toppers and classic barkada theme songs, we need an equally satisfying venue. Cramped rooms with poor acoustics just won’t do. The diva in you needs a proper stage. 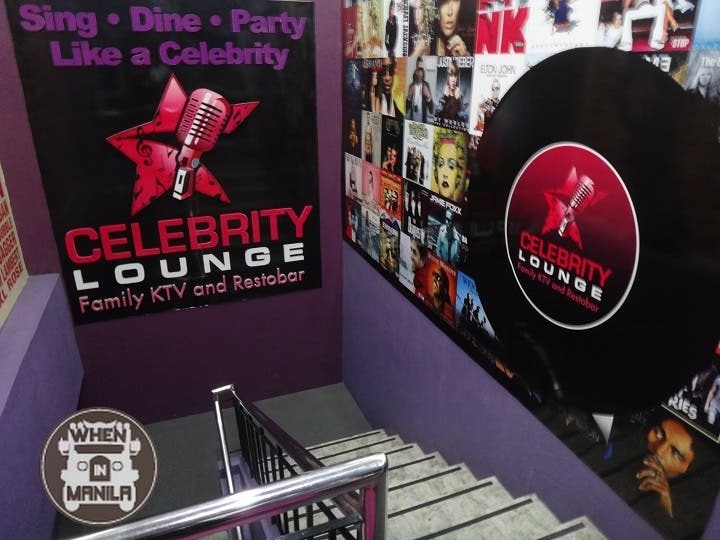 Case in point: Celebrity Lounge Family KTV and Restobar, where you’ll definitely feel like a VIP. Right after the entrance, the snazzy lounge greets you immediately with a complete package: karaoke set up where guests can start warming up their vocal chords while the staff prepares your KTV room, and a bar with a wide selection of liquid courage for those who feel like downing a few drinks before the party (a.k.a. concert) begins. Celebrity Lounge is all about bringing out the inner rock star in everyone. 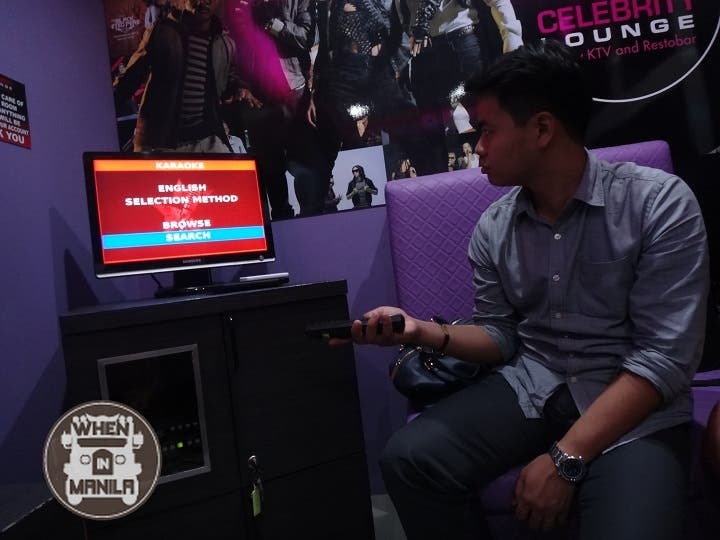 From the well-appointed interiors to the wide selection of songs ranging from Salbakuta to Demi Lovato, to its quirky rooms named after music acts, Celebrity Lounge is one surprising gem of a KTV place to let one’s hair down with some friends. Celebrity Lounge is classy. No detail has been spared in creating the perfect ambience for a night out with friends. The place is clean, the equipment is well-maintained, and the staff is accommodating. The Beyonce Room is good for 60 persons and comes with a big projector wall, a 32″ song selector, disco lights and a private restroom. 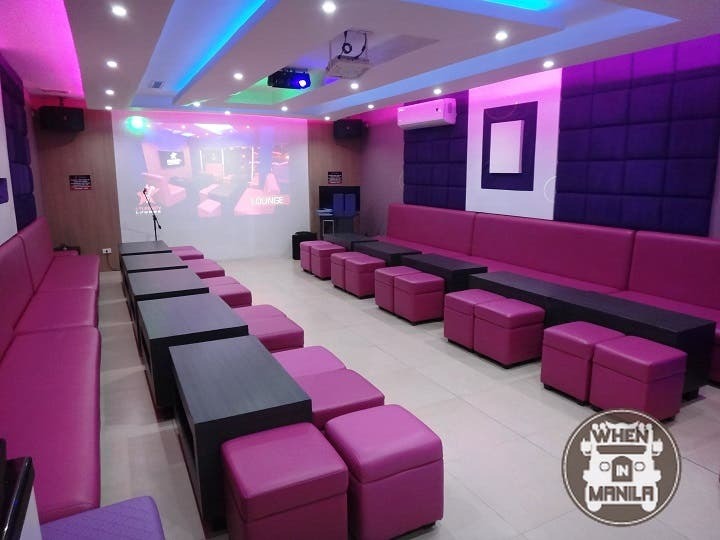 With 20 special KTV rooms that vary on their size, comfortably fitting a group as small as 6 to as big as 60 people, guests can enjoy surround sound technology, LED TV, Hi-Definition Projectors, and fun LED lights. The Extra Large Room is good for 30 persons and comes with a 50″ LED TV. 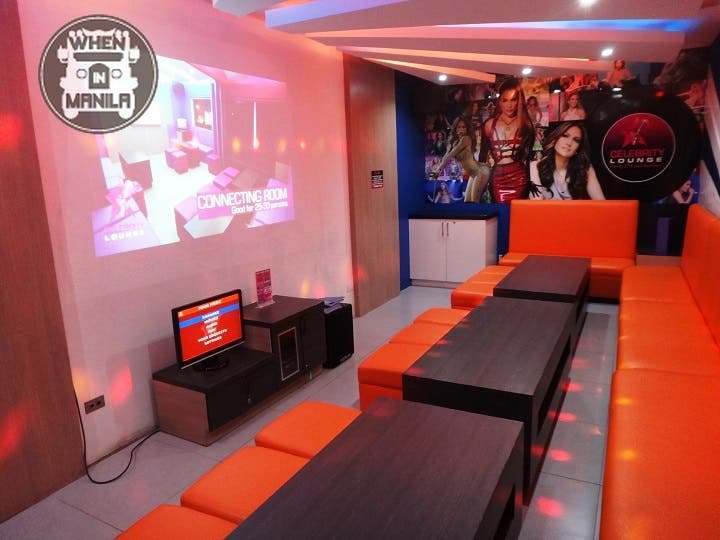 The J.Lo Room is good for 30 persons and comes with a big projector wall. This KTV place has a teeming repertoire of songs with the option of prioritizing the ones you really like (though you run the risk of losing friends in the process of by-passing their song choices). Sound levels vary from song to song. In some tracks, we found ourselves having to raise the volume to hear the music, only to get it full blast on the next song. The food is surprisingly excellent—this is an achievement especially since food served in karaoke bars is known to be bland, greasy, and overall unappetizing. Although you might get the feeling that service comes in a little too frequently for comfort, i.e., like if one of your friends is in the middle of belting out the highest note on an Ariana Grande song, it generally is impeccable and attentive. 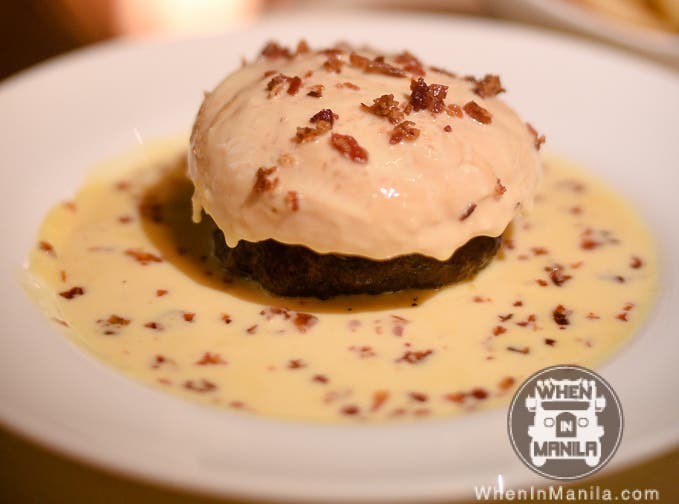 Located in Shaw, it is the perfect half-way meeting point for friends all over the metro. Just be sure to check the map or call in for directions if you’re not familiar with the area. It’s not exactly easy to find, but accessible nonetheless. Celebrity Lounge is open from 3pm onwards until cut-off time (1am on weekdays and 3am on weekends), although guests who are accommodated until cut-off time can sing their hearts out until 6am. Whether you could win The Voice or make ears bleed, Celebrity Lounge is one place that you have to go to on your next night out with your friends! So what are you waiting for? 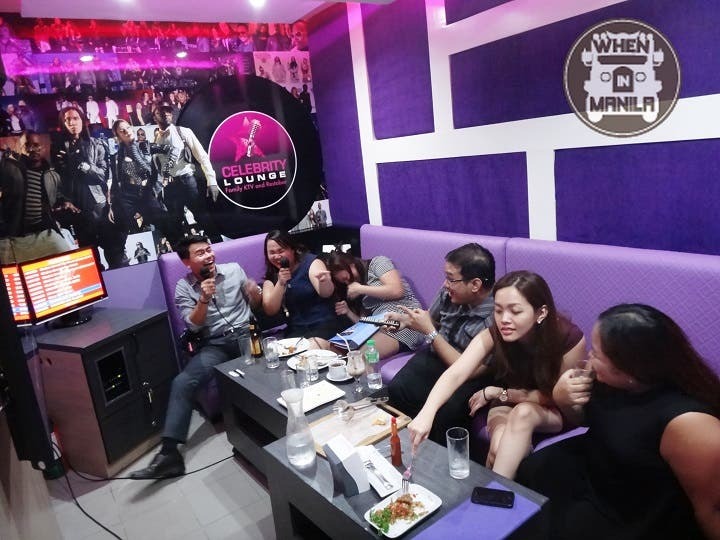 Grab your list of favorite karaoke hits now and head to Celebrity Lounge Family KTV and Restobar!